*Offer not available in all areas. Offer ends 12/31/2018. 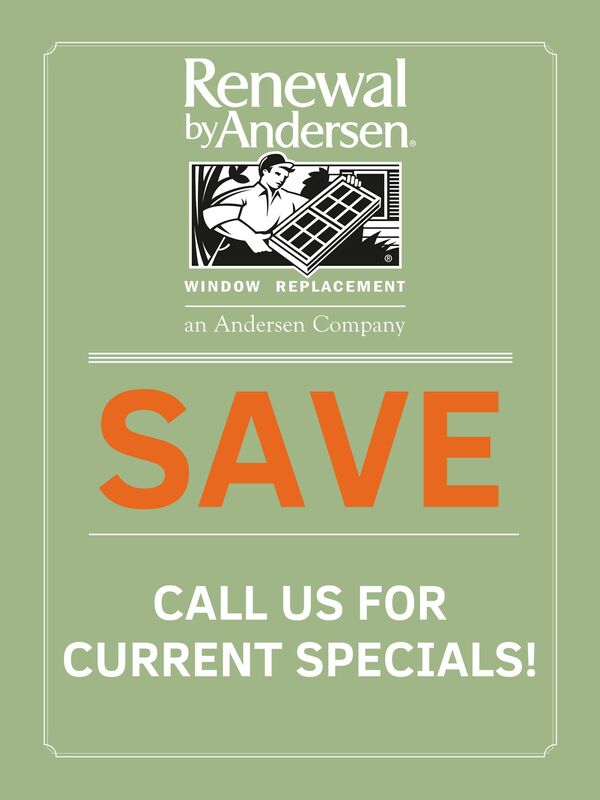 Discount applied by retailer representative at time of contract execution and applies to purchase of 4 or more windows and/or patio doors. Cannot be combined with other offers. **0% APR for 18 months financing available to well qualified buyers on approved credit only. Not all customers may qualify. Higher rates apply for customers with lower credit ratings. Financing not valid with other offers or prior purchases. Renewal by Andersen retailers are independently owned and operated retailers, and are neither brokers nor lenders. Any finance terms advertised are estimates only, and all financing is provided by third-party lenders unaffiliated with Renewal by Andersen retailers, under terms and conditions arranged directly between the customer and such lender, all subject to credit requirements. Renewal by Andersen retailers do not assist with, counsel or negotiate financing, other than providing customers an introduction to lenders interested in financing, OR Lic# 198571. WA Lic# RENEWAP877BM. “Renewal by Andersen” and all other marks where denoted are marks of Andersen Corporation. 2018 Andersen Corporation. All rights reserved.